Educator and a youth developer currently serving as the Director of School Based Centers with Police Athletic League of New York City, providing administrative oversight for eleven school based centers and ten community based across all five NYC boroughs. Previously, Mr. Balbuena served as Community School Campus Director for the Children’s Aid Society. Community school director for the Children’s Aid Society at PS 50, managing professional development for teaching staff, health and mental health services, and after-school programs; representing the school at other community organizations to provide social connections for children and families. Director, Mosaic Mental Health Association, a Bronx multidisciplinary outpatient mental health agency licensed by the New York State Department of Mental Health, responsible for $6.5 million budget. Dr. Friedman is also an Adjunct Associate Professor teaching at the Silver School of Social Work, New York University since 1999, specializing in early infant and child development, clinical practice with groups, clinical practice with children and adolescents, and clinical practice with adult survivors of sexual abuse and violence. Professor of Mathematics at City University of New York Professor of Mathematics at City College and a Visiting Scholar at the Graduate Center. Researcher and teacher at universities in Germany and France for over 20 years. A delegate to the United Nations Sessions of the Commission on the Status of Women in 2007 and 2008. Liaison for implementation of the Singapore math program. Ms. Howard is the Coordinating Manager for the department of Surgery at Jacobi Medical Center in the Bronx—a Level 1 Trauma Center—where she oversees credentialing of all new surgical staff, including attending physicians, residents, and physician assistants; ensures NYC and NYS compliance requirements are met; and manages all secretarial staff for the department of surgery. In addition, Ms. Howard organizes the Annual Warren Wetzel, MD Trauma/Emergency Medicine Symposium—the only regional conference dedicated solely to the management of trauma patients. NYC Police Department Mr. Lee is a New York City police officer and Fencing Commissioner for the NYC Public Schools Athletic League. Former 8th-grade public school teacher. Olympian: 4th place 2004 U.S. Olympic Fencing Team. Urban youth counselor for New Horizons Ministries, staff member for Leaders Among Minorities Everywhere (FLAME) program, and fencing instructor. Educated in NYC public schools, Mr. Lee is a graduate of St. John’s University, Queens, NY. Dr. Lyon is a graduate of the University of Chicago and the Pritzker School of Medicine. Dr. Lyon has a private practice, Vascular and Endovascular Private Practice, Vein Specialists of New York, and has been an Attending in Surgery at Jacobi Medical Center and North Central Bronx Hospital, New York Hospital, Montefiore Medical Center, and Weiler Hospital of the Albert Einstein College of Medicine, where he was an Assistant Professor, in addition to being an Associate Professor of Surgery at Weill-Cornell College of Medicine. VP, Operations at Personagraph. Finance, marketing, and technology executive in data analytics and expertise supporting education non-profits. 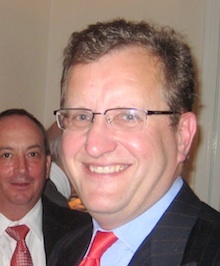 President of the Chicago Booth Alumni Club of New York. Father of two children. Comptroller, Chicon 7 Conference Son of Rosalyn Yalow, who has worked at educational institutions for 25 years (Columbia University and City University), primarily within their computer technology areas. A graduate of PS 7, JHS 141, and the Bronx High School of Science. Founder and Executive Director. Project finance specialist and financial advisor for state and local governments. Bronx non-profit organizer addressing economic development, senior services, and childhood obesity epidemic. Restoration of historic Bronx homes. Economist, and parent of 3 sons graduated from NYC public schools.